Lack of Sleep Slowing You Down? Lack of sleep is the #1 complaint around the world today! Not pain, not money, but a lack of quality sleep. Here is what you can do to improve mobility, reduce body ache and get a better night’s sleep. Sleep anywhere? No? You’re not alone! Do you feel worse when you’re at rest? Are your eyes weak, red and/or heavy in the morning, or throughout the day? Do your hips ache while you sleep? Do your fingers suffer from numbness and tingling, or go completely dead in the middle of the night? Is your body stiff and sore upon rising from bed in the morning? If you answered “YES” to any of the above mentioned questions, you may be suffering from lack of circulation caused by pinched nerves, and swelling around the joints and muscles. All of this pertains to a lack of sleep, and if it happens long enough, can lead to long time damage. Luckily for you, there is something you can do! Nightly body stiffness and the loss of mobility that incurs can cause numbness, inflammation and restless sleep. Below is more information on how to help yourself. Robin McKenzie believed that most patients could learn to treat themselves if taught correctly. Robin Anthony McKenzie, born in New Zealand, was a Physiotherapist in the 1950’s. Mr. McKenzie worked with numerous patients and internationally consulted many organisations involved in research and treatment of mechanical spinal disorders. In the 1980’s he was awarded Honorary Life Member of the American Physical Therapy Association (APTA) and gave us the gift of his own patented therapy techniques which are used in Chiropractor Dr. Justin Davis’s office in Tigard OR today. Our clinic believes in empowering its patients to self treat through properly structured and well demonstrated stretching that the patient can easily perform at home in their own comfort. These very specific stretches can promote improved mobility, increase the release of built up inflammatory fluids that have been trapped under the muscle tissue, and subsequently relieve pain which will also result in a better night’s sleep. Do these daily and your stiffness and aching pains will reduce naturally. On a daily bases you will move and posture your body in a way that commonly adds unknown stress to the joints and muscles. This causes the body to naturally inflame and provide supporting fluids around the tissue. Unfortunately that inflammation can cause achy joints,which become more noticeable during times of rest, making sleep less productive. Our clinic utilizes many professional, long standing and proven techniques of adjustment, electrode therapy, and active release massage; however, just as imperative to your strength and continued mobility is the at home care and stretches Dr. Davis teaches you. The McKenzie method of treatment will help you maintain an at home exercise regimen that is simple to do and effective in pain relief. The treatment is used with patients ranging from sports enthusiasts to sufferers of auto accidents and everyone in between. 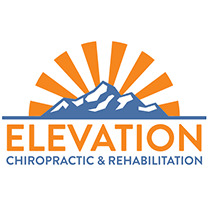 Give Elevation Chiropractic a call today and talk about your options to get your body back on track, and better rested! Visit our Appointments Page to request your appointment now!